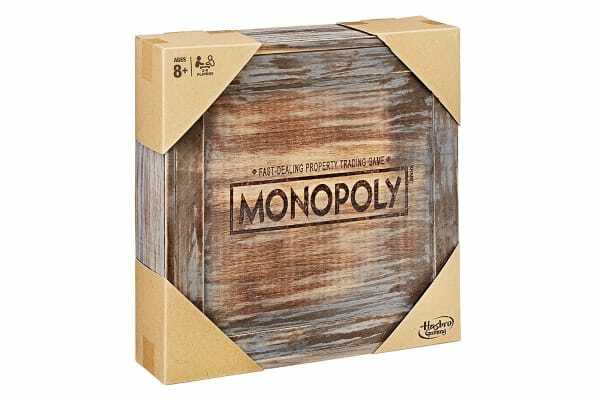 Own it all as a high-flying trader in the fast-paced world of real estate in the Hasbro Monopoly Rustic Series. 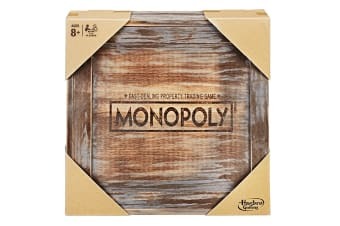 The Hasbro Monopoly Rustic Series comes with a wooden puzzle fit game board, wooden dice, houses and hotels and is designed for display on a shelf or table. 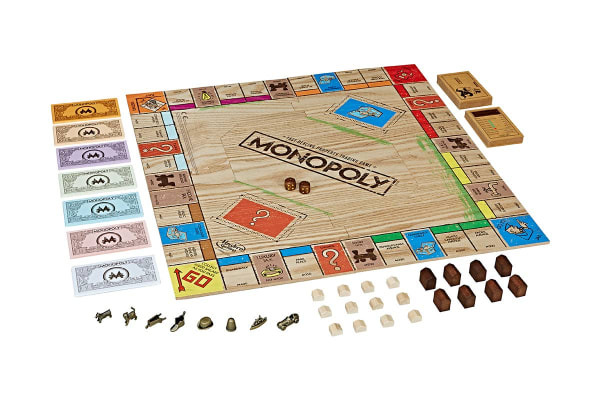 Tour the board in a quest to own the hottest properties, railroads and utilities. Invest in houses and hotels then watch the rent come pouring in. 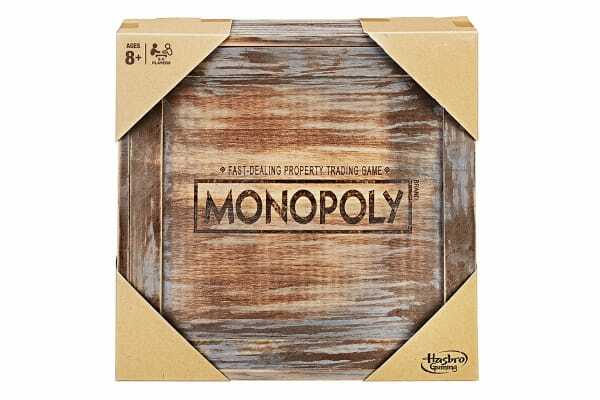 Make deals to trade with other players and also look out for bargains at auction.